Planning a trip??? Which place have u finalised??? The moment you finalise a destination, all your focus is then on reaching there. Very few people enjoy the journey too. Inspired by this thought, we decided to leave for a weekend on an unplanned itinerary trip. Travelers, time, date and mode of transport was decided, everything else was to be planned on the go. Saturday morning, after few traffic jams, we took our first halt for breakfast. It was at the base of Kasara ghat. Baba da dhaba serves some delicious batata wada's and misal. We all had our tummy filled and also discussed the places that we can visit. 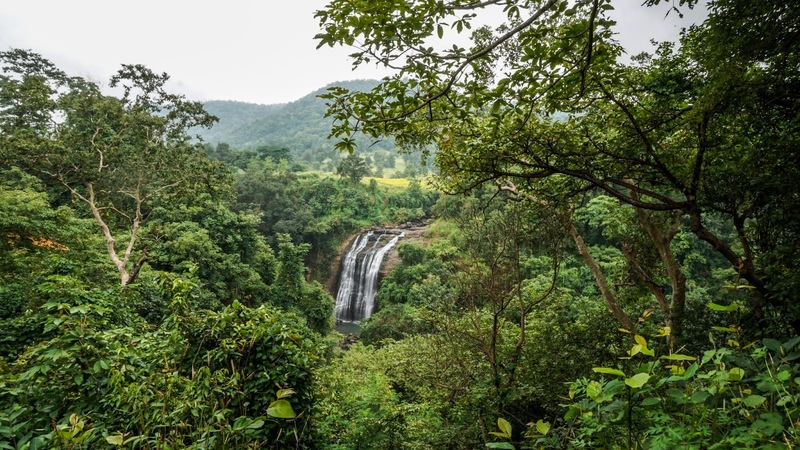 Vihi Waterfall was decided to be visited first as it was just few kms away from the hotel. There are very few beautiful waterfalls by the road. For some you have to trek a lot, but this one is right by the road. The best part of this place was that there were lot of beautiful birds and no presence of humans other then 5 of us. 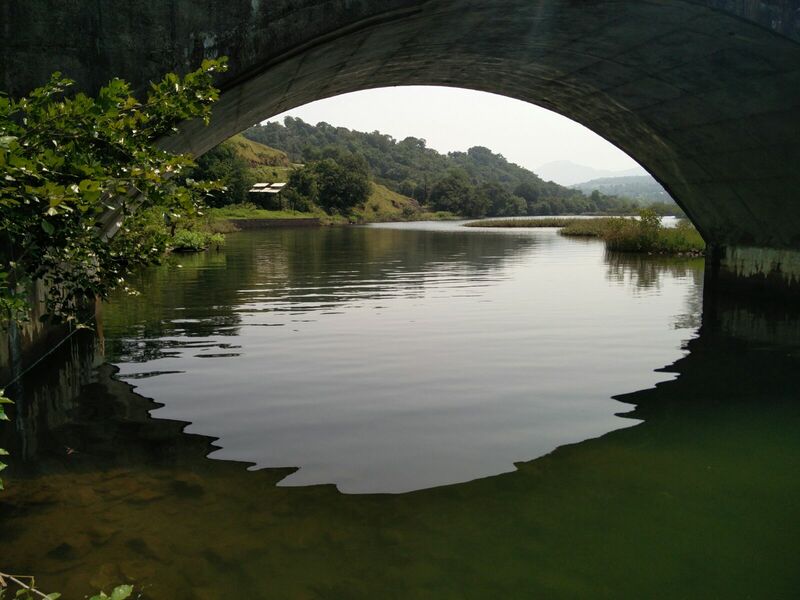 Soaked in the beauty of Vihi as much as we can, and left for our next destination, which was not known to us. 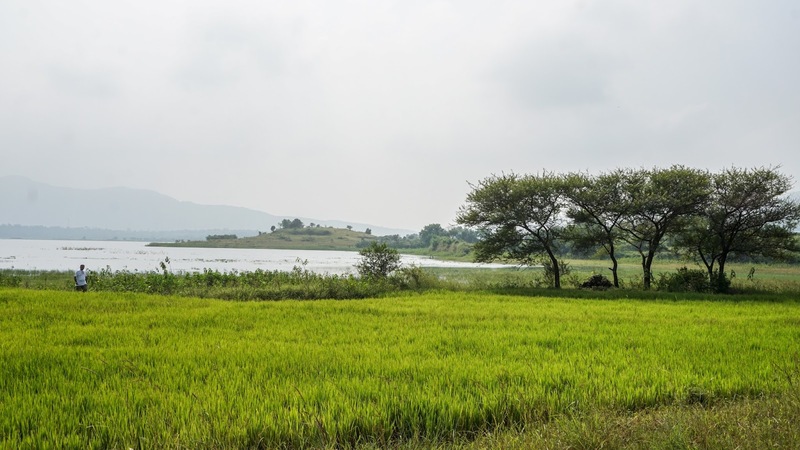 Passed through the Fog city of India - Igatpuri and turned from Ghoti to reach some beautiful reservoir. It was a welcome break for all of us from city life. Theme of the trip was to just do nothing. So we went to the field, photographed some colorful dragonfly's and birds like Green bee eater, drongo, kingfisher, shrike, etc. 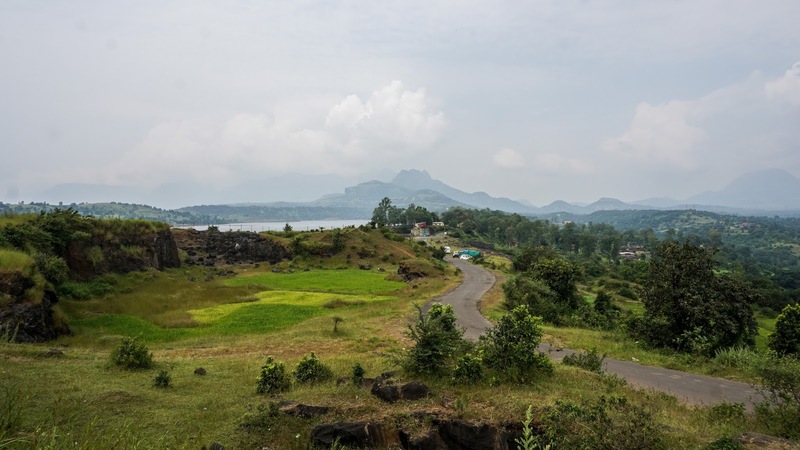 We reached Bhandardhara, and parked our vehicle at the base of Wilson dam. Found a tree, who had a cool shade by the flowing water. There was no way we could not spend some good time there. But as all good things come to an end, our pleasant time also ended with entry of a vehicle full of guys with their mouth watering to sip in some cans of beer. And their driver was stuck in 80-90's music, and he played it loud. 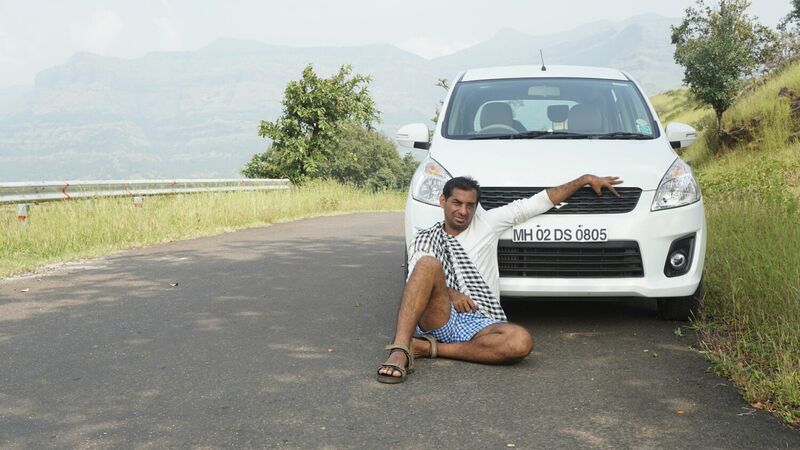 We just gathered our belongings and ran towards our car for search of another destination. 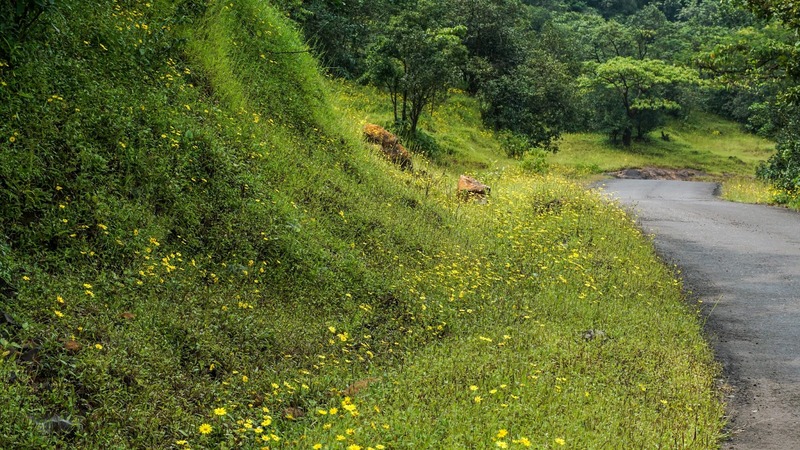 From the forest check post to Amruteshwar temple, road was beautifully paved with yellow flowers on both the sides. 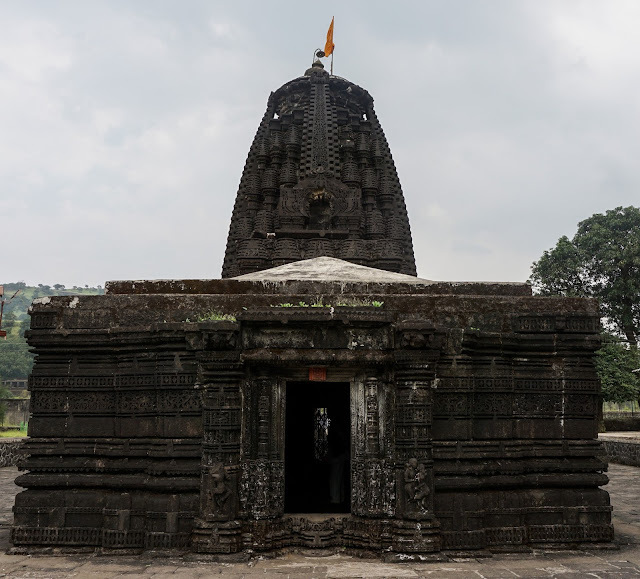 A 1400 Ad temple, Amruteshwar had its divinity intact. Buses and buses full of people were plying there to get the blessings of Lord Shiva. It is in Ratanwadi village. 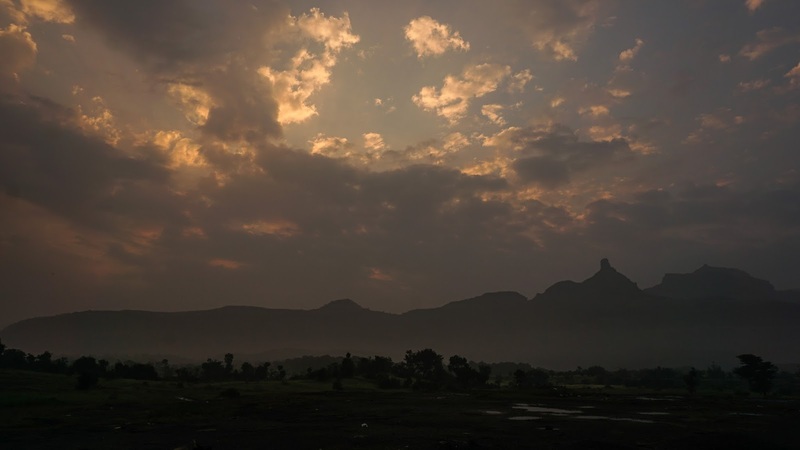 also the base village for Ratangad trek. After visiting god, it was time to hunt for a lunch provider. It wasn't difficult finding one. Bhaskar - a local villager, runs a small hotel from his house, serves some delicious home made, wood smoke cooked food. We all were hungry and the food smelt good. Ate more than capacity, after which a nap was must. Found a place behind Hanuman temple. Nice breezy and clean. Had a nice nap for 2 hrs before we left for Samrad. 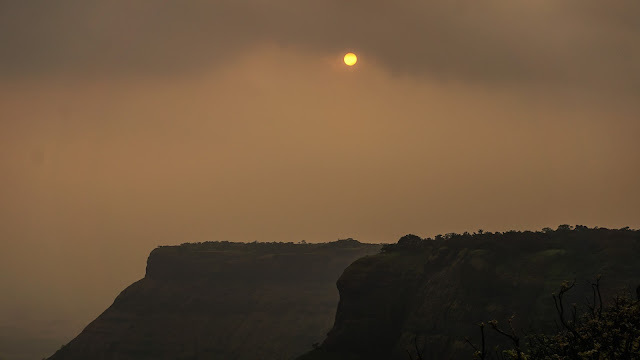 Kokan kada offers you some breathtaking view. The picture below will convince you. Now we were hunting for a place to pitch our tent. Some focussed enquiry lead us to Ghaatan devi temple. 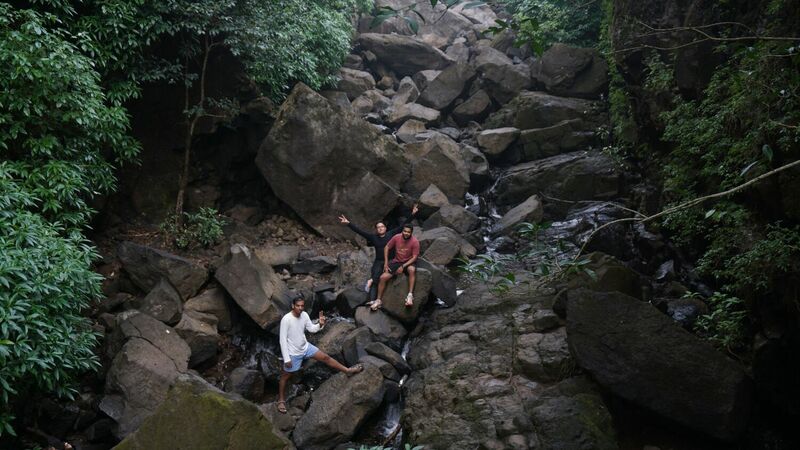 The place was so exclusive that we immediately finalised it for our night camp and left for Samrad to have dinner. Dinner was again a plain home made food but not as tasty as the lunch that we had at dinner. Few guys in our group were disappointed as they were hungry for some desi chicken but did not get any. With a swollen face they had to survive with Veg food. Before we were done with dinner, rain god had made his plan to arrive and it was with some massive lightning. So the plan of camping at Ghaatan devi went for toss and we had to settle for a village home. For many people change of sleeping place means sleepless night. One of our team member was facing it and so he thought of putting his chair outside the house in open at 2:30 AM and just watch the sky. Indeed he had some great time alone with the dim lit stars. While, we were battling to protect our sleep from the loud snores coming from other corner of the room. God know, who was snoring so loudly. I pity his wife, that's it. Wanted to be at a place surrounded by mountains and so we were. Ratangad, alang, kulang, madan, ghanchakkar and many more peaks were visble from one place. We kept on going till we hit a place where it was knee length water pond. As we all did not want to get wet and not do the entire trek we just spent some good quality time in the peaceful Sandhan Valley and started walking back to Samrad. We took a decision to camp in Sandhan Valley during winter. 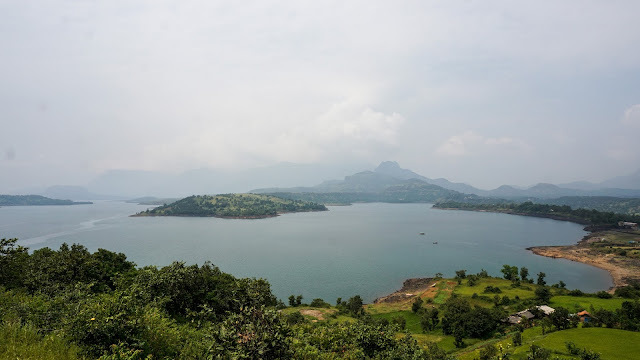 On our way back to Bhandardhara we had some spectacular view of Sahyadri's peak, valleys and its lakes. We grabbed something to eat at shendi village and left for Vihi. That we had decided on earlier day itself that bath on sunday will be taken at Vihi. 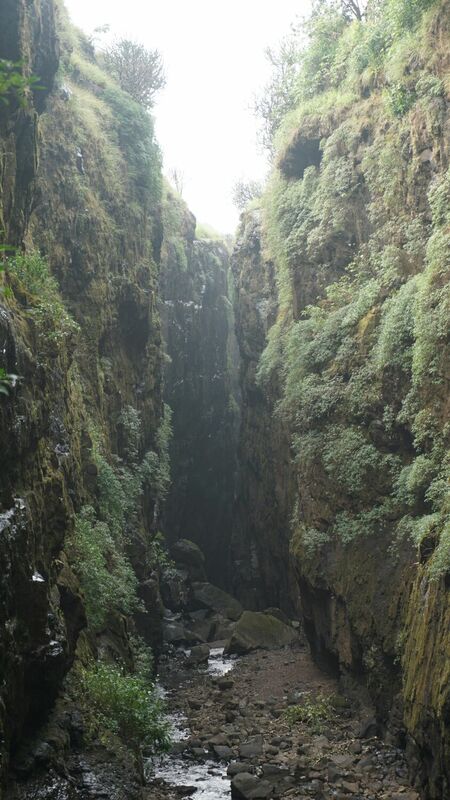 o boy boy what a waterfall, what pressure and what thrill it was to be under it. Words would fail to express the experience. 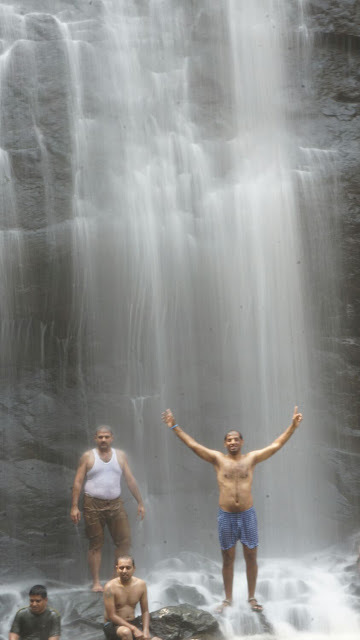 During monsoon, no one can dare to be under Vihi waterfall but it is heaven to be when monsoon has kind of subsided. 30 mins of sheer Spa bath it was. Soon we were back on the road as hunger follows good bath. Dalvi darbar is a nice place to eat. Serves both Veg and Non Veg, prepared in different kitchens. We had earlier also visited it during our Gangapur camping trip. 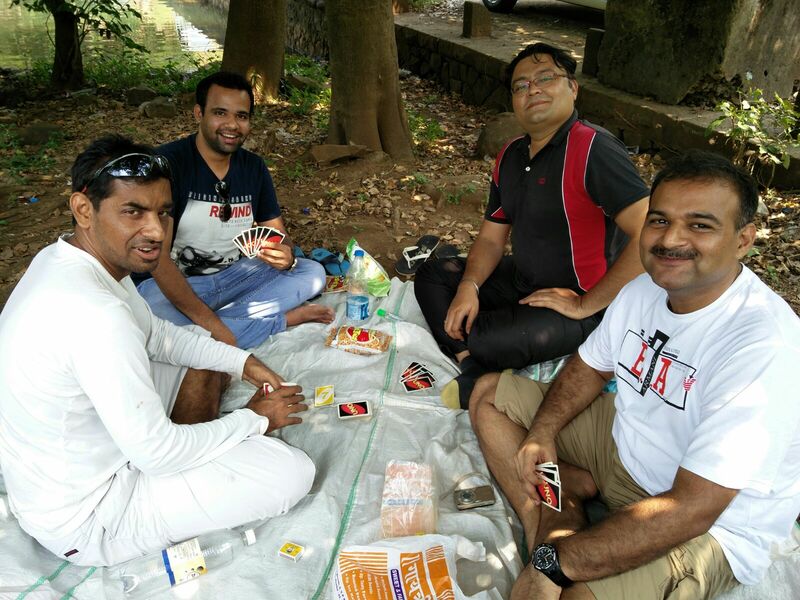 And here our team members got to eat chicken which they were craving for very badly. And we all said that, "Murge ki maa kab tak khair banati" and had a great laugh. Reached home back in good time and did not get into traffic jam at all. Here i would like to conclude that, unplanned itinerary has always been the best trips that we had as you are open to all the experiences and do not limit yourself to one place. Have such trips in your travel list. Take your kids along. They will also appreciate the promptness. They will also be strong to face the uncertainties of life and become courageous too. Always keep a tent and sleeping bag in your car boot. It comes handy. We shall keep travelling more with unplanned itineraries and keep motivating our readers to take up travelling in such style.